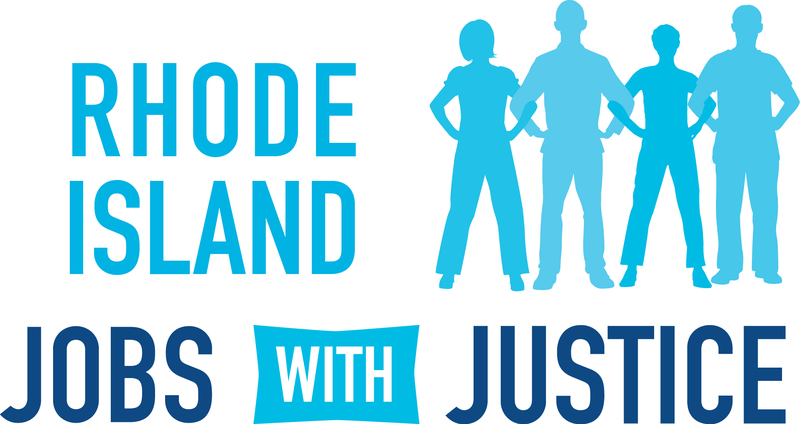 The workers at the downtown Providence Renaissance Hotel have spent the past year fighting for better jobs for themselves and a better future for their families and communities, and RI JwJ has been with them every step of the way. 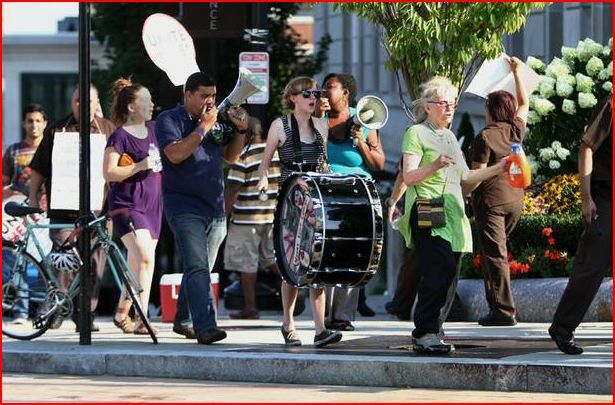 We’ve sponsored monthly JwJ picket lines, showing critical community support for workers in their struggle. We’ve mobilized for the City Council meeting for a hearing on an ordinance that would take away the $8 million tax subsidy, showing strength for economic development policies that lift up our communities, not greedy corporations. We stood with workers as they filed a complaint with OSHA for the toxic chemicals managers were forcing even pregnant women to work with without safety gear. And now we stand with workers as they have called a boycott of their own hotel, using our power to convince potential customers to respect the workers and bring their business elsewhere. On Friday, April 11th, hotel workers and allies delivered a petition to the City Hall in Providence with more than 1000 signatures collected in support of a living wage ordinance for hotel workers. All of these pieces add up to a powerful low-wage worker uprising in our city and state.